This week sees the return of The Gadget Show Live to Birmingham’s NEC, so yesterday I took a look around to see what interesting and new innovations I could find that you should be looking out for in the next 12 months. Personal transport vehicles were out in force at the show this year. The biggest and most well know is obviously Segway, but there are lots of variations out there now, including 2 wheeled ‘base board’ versions that don’t have the arm in the middle to hold on to, and even unicycle versions, that just have one big wheel in the centre! 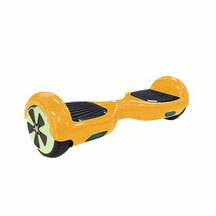 I had a go on a couple of these and the standard ‘Segway type’ is definitely the easiest to control, however, the base board versions aren’t as hard as you may think. It takes around 5 mins for your body to get used to the idea that you’re balancing on wheels, but once you have it, they feel like a natural extension of yourself. It’s a very odd experience! The biggest issue with all these PTVs though is price… The Segway’s are still around 5k, and even though the other Segway types are close to half that, two and a half grand could buy you a reasonable 2nd hand car, so it’s a lot of money to throw at something which for most people would be an expensive toy. The base board and unicycle types are much cheaper at £600-£800, but until they can get them down to the £300-£400 range, I don’t think you’re going to see mass take up of them yet! Find more info at airwheel.direct and smartrax-shop.com. There were a number of impressive medical devices at the show this year, ranges from apps to dedicated units. First up is Touch Surgery, an app described as ‘the Operating Room in your pocket’ that allows medical students to practice performing surgeries from any phone or tablet. Developed by medical professionals to help improve and advance surgical skills outside of the limited time students have in real OR’s, they’ve been getting great feedback from the users about how they’ve helped improve their surgical techniques before setting foot into a live theatre. It’s one of those apps that’s so obvious, it’s surprising it’s taken someone this long to put it into development! There were a number of interesting camping related gadgets at the show this year. The first one is not really a gadget, but was personally so nostalgic for me that I had to add it. The OPUS Folder Camper is somewhat reminiscent of the old Dandy folding camper I spent many a holiday in during my youth. The OPUS however, is incredibly spacious with large skylights in the roof making it a lovely space to be in. It’s well fitted with all mod-cons and has full double beds at either end, so can comfortably sleep 4 adults. A really great update on a classic idea. Next is the Tegstove. Still in development, they’ve come up with an ingenious way of using a stove that holds the conventional, cheaper, butane gas cylinders, to not only cook in a more effective way than the common Butane, Propane and Isobutane mix, but also to power a thermoelectric generator which can charge your phone or tablet. They’re currently refining the design to make it even lighter and more efficient, so i look forward to seeing the final model. There were obviously a million speakers, TV’s and other entertainment bits at the show, but these were the few that stood out for me. Firstly the Philips Screeneo – a short distance home projector. And by that, I mean it only needs to be 10cm away from the wall to project a 50 inch screen. So you don’t have to have it halfway across the room, and have the annoyance of people walking in front of it for it to work. You can just stack it on top of you Sky box and Blu-ray, and it’ll project a huge screen from a short distance. Despite it not being very dark in the show hall, it gave really good colour and picture quality, has a decent speaker system built in, and runs Android OS, so you can install apps on it. Next was some more youthful nostalgia for me. Elite System’s full size recreation of the Sinclair ZX Spectrum! It looks and feels like the old Speccy we knew and loved, and it allows you to play Spectrum games via your phone or tablet. In essence it’s a glorified bluetooth keyboard which uses an emulator app on your Android or iOS device to allow you to play games. You can then use Apple TV or Chromecast (or the native Android screen sharing) to throw the screen to your TV. You can also use it as a standard bluetooth keyboard on other apps too. More info here. Thirdly, there’s the Analogue Amp. So low tech it’s basically no-tech! There’s no wires, power, wifi, bluetooth or set-up. It’s a hand crafted stoneware funnel which can amplify sound from your phone up to 40Db by just slotting it in the top. Essentially working like an old gramophone speaker. Lovely looking and beautifully crafted. Their website is here. Lastly, TVPlayer. An app and website that lets you watch all the the live streams from UK free TV channels in one place online or on your mobile device. There have been a number of apps that have tried to do this, but usually they don’t have the official agreement of the channels they’re streaming, and they can be very spammy with ads. TVPlayer isn’t. It’s smart, elegant, and well put together. Sure, you can get all this content from native apps, but the live tv can be tricky to find. TVPlayer puts it all in one place. Currently they only have live TV on there, but they’re working on adding all the catchup content too, so it’ll be a one stop location for all your free tv! You can find TVPlayer here. I love it when you come across an idea that’s so brilliant, obvious and simple, you think – “Why hasn’t this been done already?..”And that’s what I love about this next product. When you’re wearing a rucksack… why are the zips on the outside? “So they’re accessible” you might say… But accessible to who? Not you. Unless you have double jointed arms and can spin your head like an owl to see whay you’re doing, you aren’t getting anything out of there without taking it off. This was the thought that struck Sarah Giblin as she was standing in a tight, squashed up, queue one day, with most people wearing backpacks, and the guy in front of her was getting annoyed she was so close behind him… Then someone stands close behind her and she thinks “did he touch my bag, is my stuff still there?..” And it hits her… The only person that has access to my pack is everyone else BUT me… So she thinks “what if the pack is the other way around, with the zips on the inside?”… And so the idea for the RIUTBag was born! Moving all the zips to the inside of the pack which is against your back means there are no pockets on the outside that can be left open or pilfered through by come nefarious bystander. It’s totally secure against your back. It’s such a stupidly simple idea, but 95% of backpacks are still made with the zips on the outside where anyone can get at them. Sarah wanted to change that, so she started a Kickstarter which got double it’s funding, allowing her to make the first run of the backpacks. The RIUTBag backpack isn’t only secure, it’s nicely designed and put together, and can easily hold a 15 inch laptop securely. You still have easy access to drink bottles from the outer slots, but all the important stuff is safe and secure against your back. A simple idea, extremely well executed. You can find out more about RIUTBag here. ← Did Neill Blomkamp change the new Alien movie to avoid angering Ridley Scott?